I am so excited to be collaborating for the next week with six other fantastic bloggers to bring you some awesome Christmas decorating ideas and projects! Thanks to Shannon and Dean at AKA Design for being the ring leaders on this! 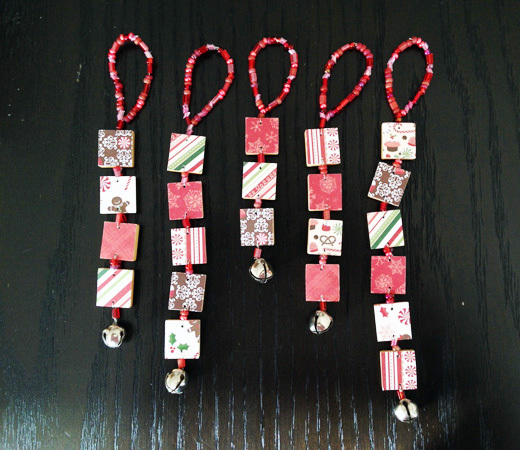 Each day one of us will be featuring a Christmas project on our own blog. We’ll be sharing the links to each others projects on our social media (twitter, facebook, pinterest) so you can easily check them out. 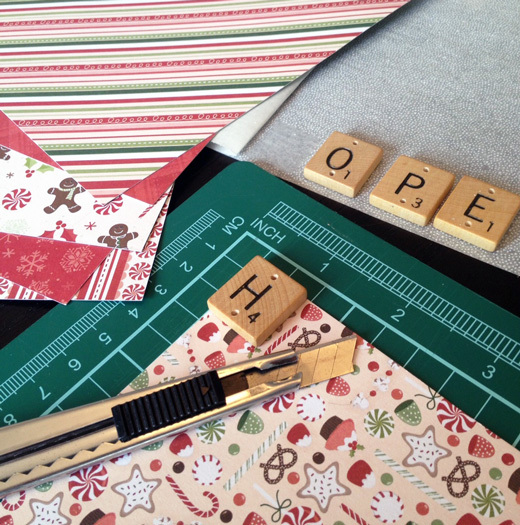 Then stay tuned later in December for a FREE downloadable PDF of all of the project tutorials! 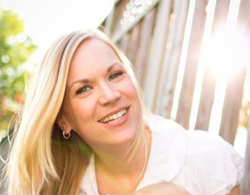 Wednesday is my day to share with you, and here we are! 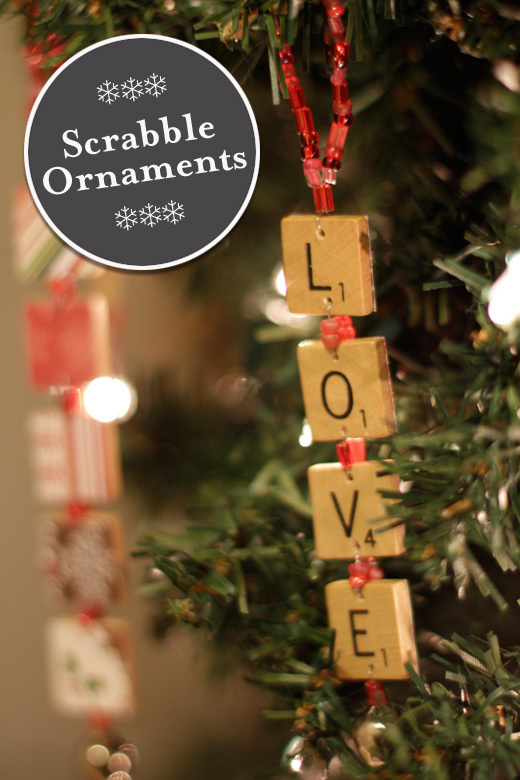 Being a lover of Scrabble, I couldn't resist making some ornaments out of old Scrabble tiles. Who doesn't love those cute little square, lettered tiles? 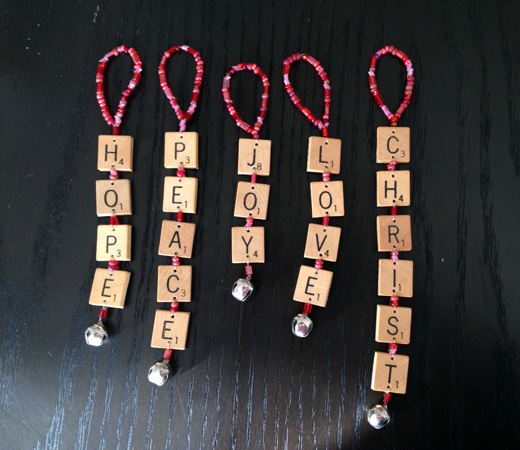 Being a Christian, I decided to use the five advent themes celebrated in the weeks and days leading up to Christmas for the words of my ornaments: Hope, Peace, Joy, Love and Christ. This adds more significance to the ornaments, reminding me to reflect on the reason I celebrate Christmas - the birth of our Saviour, Jesus Christ. OK, here we go with the tutorial! Stick with me. I took lots of pictures to help explain each step. This makes it a really long post, but trust me, it's not as complex as the oodles of pictures make it seem! My always-so-handy husband drilled holes in the top and bottom of each tile, using the smallest drill bit in his set - 1/16th. He fashioned a simple jig to hold the tiles in place while he drilled. 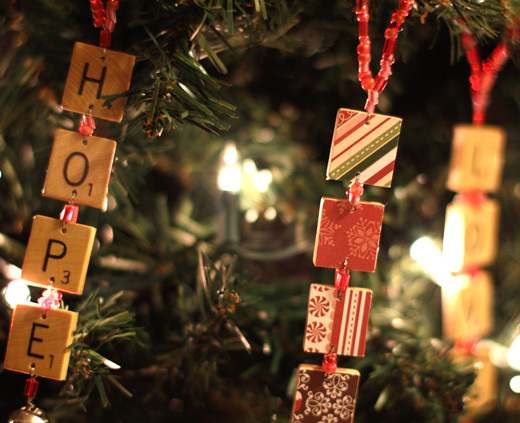 I wanted to dress up the ornaments a bit, so I thought some festive-patterned paper on the back would look fun. I had this handy StudioTac dry adhesive leftover from my college days, and it worked out so well for sticking the paper to the letters. I'm sure another type of glue would work just fine, as long as it's not too wet, so the paper doesn't warp or bleed. 1. 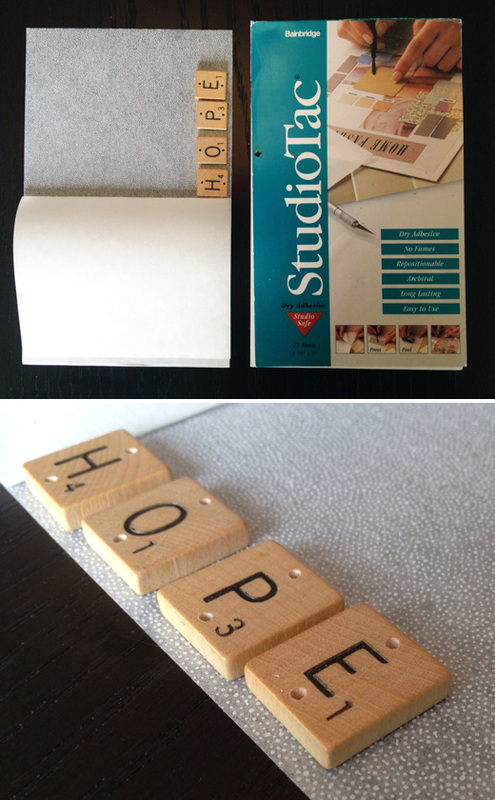 Glue letters to scrapbook paper. 2. Use an exacto knife to carefully cut around the wooden tile (this paper is double sided, so that's why there is a patterned side facing up). 1. Use a needle to poke a small guide hole from front to back. 2. Take a larger pointy object (I used an awl tool) to poke a hole on the back (this is where the small guide hole you just made it helpful - shows you know where to make the hole). 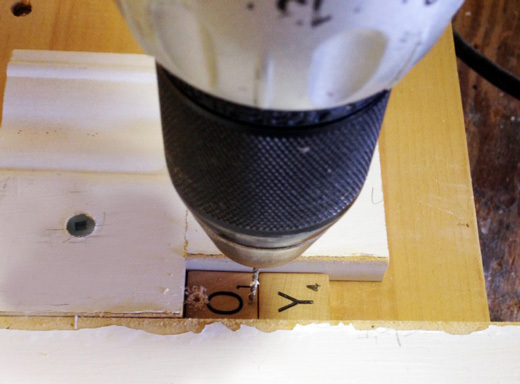 This pushes the paper into the drilled hole of the tile leaving a clean edge on the paper. Feel free to improvise with whatever works for you here. I have outlined a pretty detailed step-by-step process of what I did, but there are a myriad of ways you can string them together. As long as they are all attached together at the end, you have succeeded! 1. Cut a 4-inch piece of wire and feed through the bottom hole of your first letter. 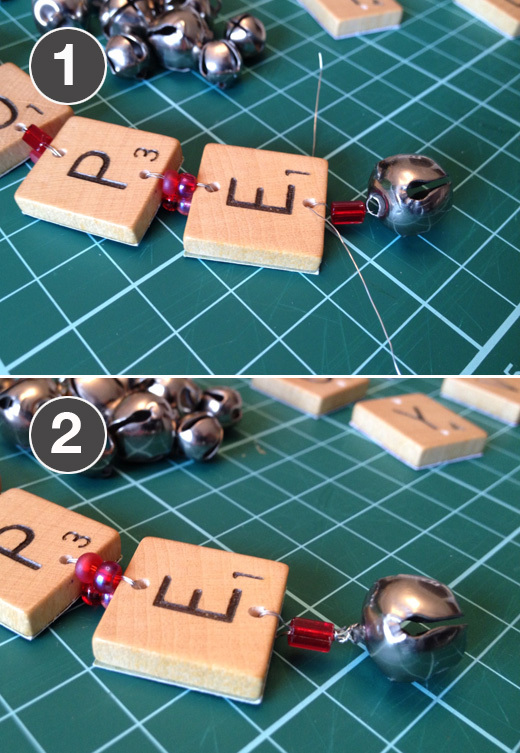 Add a bead or two to the wire on each side of the letter. 2. String the wire through front and back of the top hole on the second letter. Pull tight. 3. Feed wire back up through the beads on the front of the tile. 4. Do the same as step 3 on the back of the tile. 5. Feed the wire piece at the back, through to the front of the tile. You should now have two ends of wire at the front of the tile. 6. Twist the two pieces of wire together. 7. Feed the twisted wire back through the hole of the tile and trim with scissors as close to the back of tile as possible. Repeat this process for each letter in your word. 1. Cut a 12 inch piece of wire and double it in half. Feed through top hole of first tile. Give wire a couple of twists so it is secure around the tile. Thread a bead or two over the wire. 2. String beads on each side of wire, leaving space at the ends to secure them together. 3. Twist ends tightly together. 4. Feed the twisted ends back through a few beads to secure closure. Trim the excess wire. If you don't have a bell, you could just finish it off with a few beads at the bottom. 1. Feed wire through top loop of bell, give a twist or two to the wire and add a bead (similar to step 1 in the previous hanging loop instructions). Feed wire through bottom hole of bottom tile the same way you did when stringing the letter tiles together. 2. Feed wire back down through the bead and secure around the bell. Trim excess wire. And I like how the backs are lovely to look at too. And here they are on the tree. 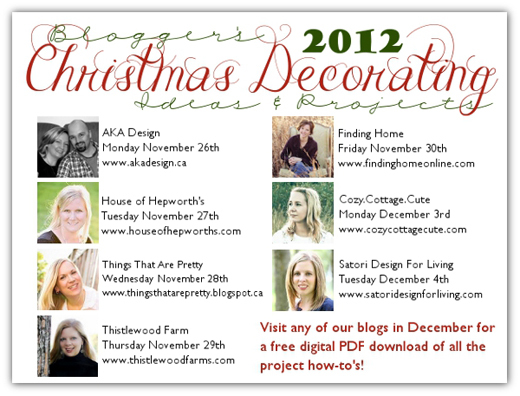 Please take some time to stop by all the friendly blogs participating in this fun Christmas affair! I will be pinning all the participating projects to this Pinterest board. So be sure to follow my board and repin! I'm linking up with these great link parties. Be sure to check them out! Beautiful idea Heather...I love it! Super cute!!!!! LOVE this idea! Thanks Heather!! Glad you like them Christy! AHHHH!!!! im so going to do this!!!! I love how you prettied up the backs of the letters too. 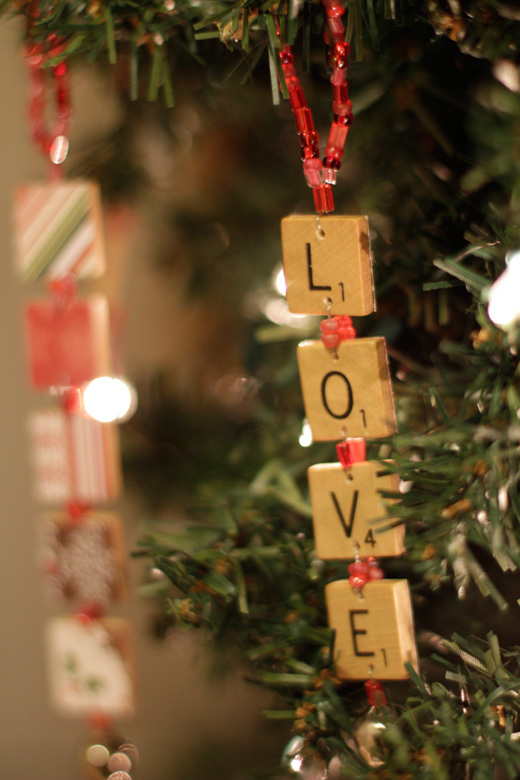 This is such a clever idea for an ornament! Thank you so much for the awesome tutorial! 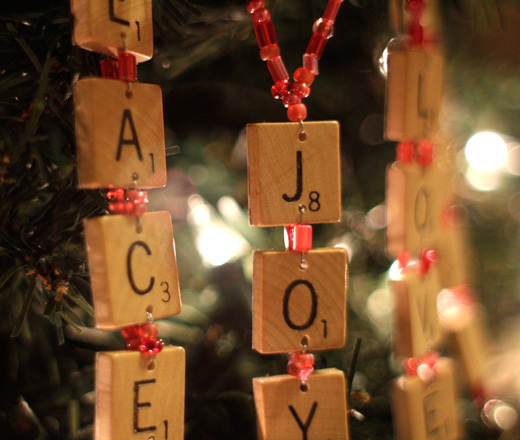 I am so happy to be participating in the ornament e-book with you! Thanks Karianne! 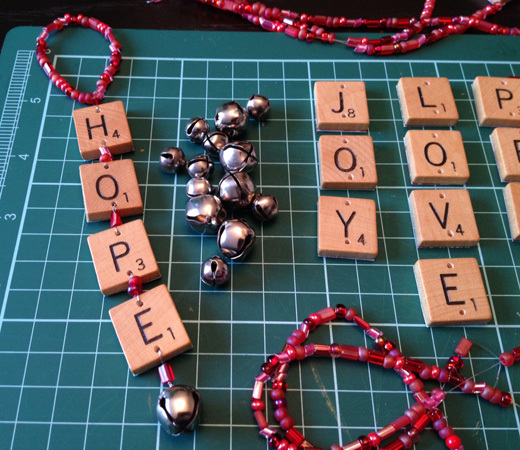 I'm excited to be part of this Christmas project with you! I like the ornaments and the Advent theme! 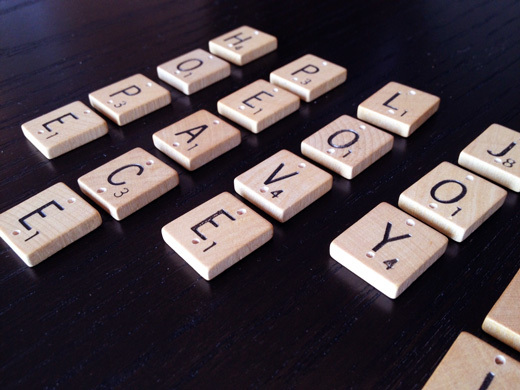 I snatched up a Scrabble game at a yard sale this past summer thinking I would do something crafty with the letters. It turns out it is actually from the original makers of the game and is complete so I chose to keep it in tact, no crafting with that! Oooh, great find! What a special treasure! I've picked up a couple of older games, but I'm pretty sure there is nothing especially valuable about them - at least I hope not, since I've been drilling holes in the letters! I see old scrabble games at second had stores and never think of picking them up for crafts like these. Love them! They make great crafts! But it does hurt a little to ruin a good Scrabble game...it's one of the best games around! Great idea, girl!!! I love these ornaments! Super cute and so you! 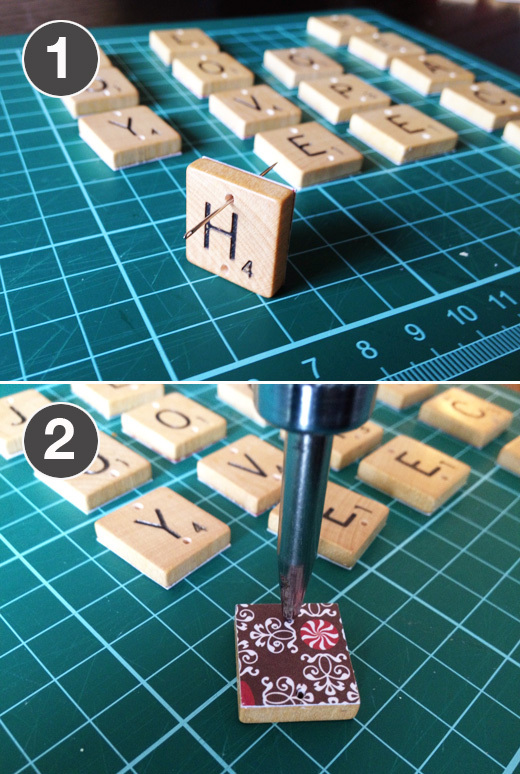 Im a scrabble lover too,, I'd love to do this using names of family too. As a kid it was always fun to find the ball with my name on it. Thanks for sharing. That's a great idea to use family members' names! Thanks Lucy! Next I might make family names. 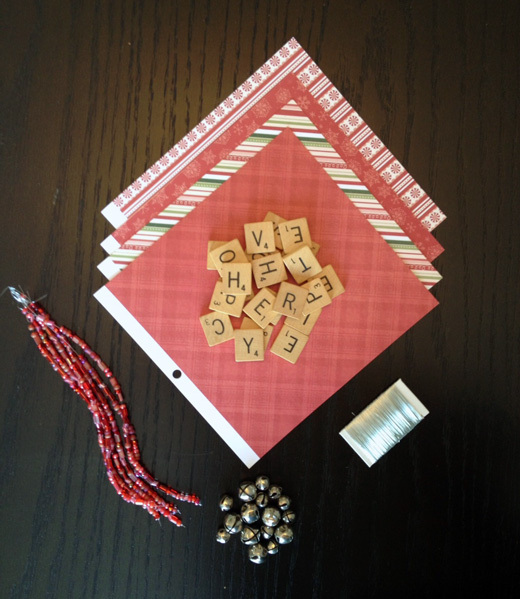 Will keep my eyes open all year for old Scrabble games, then make one for each of my Grandchildren next Christmas. I'm always looking for ideas, as I give them a new ornament every year so they will have something for their first trees as adults. This is a great one! Thanks, Heather! What a special gift for your grandchildren! I appreciate your comments and read every one! I'm Heather and thanks for visiting my blog. This is where I like to share some of the things I make and some of the things that I find inspirational and pretty.